Branded Summer Merchandise Ideas - Activity Packs, Children Activity Packs & Kids Colouring Packs - Packme Ltd.
A favourite of ours, branded sunglasses prove an effective way to create a buzz on social media. Rockfish’s customers loved their branded shades last summer, take a look at the photos! Flip Flops are another excellent way to promote your business throughout the summer months. We find that flip flops are very popular with families and work very well as a giveaway item. Our clients have realised the potential selfie sticks hold when it comes to increasing engagement, both online and in-store. Many customers have opted for branded selfie sticks as a means of promoting their business. Beach balls are another great way to create a buzz during summer. Some of our customers that manage hotels find beach balls work wonders when livening up their pool areas. T-Shirts also work well because customers take them away as mementos and keep them. Just look at these t-shirts we created for Rainforest Café! Curly Straws are great for cocktails & mocktails during summer. 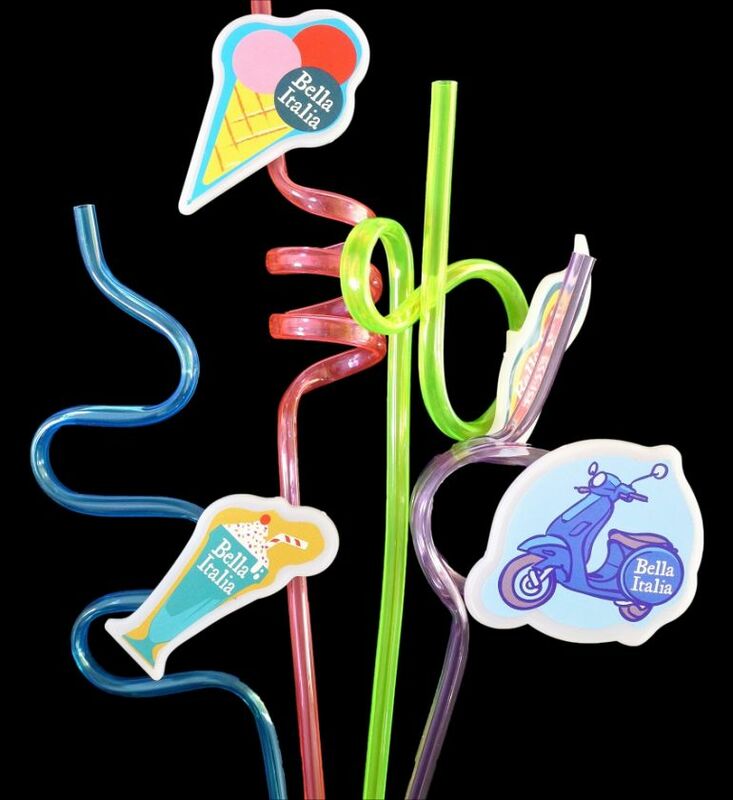 We produce our curly straws with a clip-on accessory that can be branded with your logos and artwork. Children absolutely love them, and they can be reused time and time again. Many of our customers have adopted this idea and find that kids like to collect them. Packme can produce all of these items, and so much more. Get in touch with us today to discuss your ideas. View our branded products page for inspiration – we really can do anything!